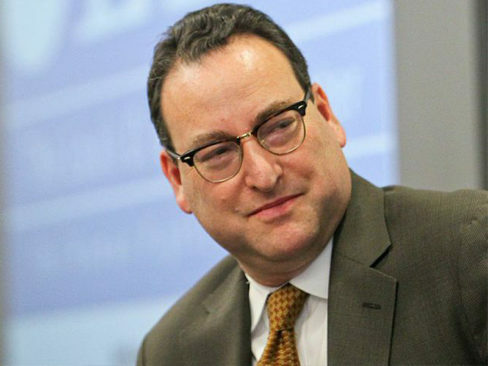 On January 18, the U.S. Senate Committee on Health, Education, Labor and Pensions (HELP) voted narrowly on a straight party line vote to advance the controversial Kenneth Marcus as Assistant Secretary for Civil Rights at the Department of Education. Marcus’ nomination now moves to the full Senate for confirmation. Jewish Voice for Peace stands in firm opposition to this nomination, as we see Mr. Marcus as the latest of Trump’s officials who aim to dismantle the core purpose of the office that he or she is heading. The Office of Civil Rights is responsible for combating discrimination and upholding the civil rights of students. However, Marcus is vastly unqualified for this job. His positions have repeatedly been fundamentally anti-civil rights, and he has a documented history of harassing students and faculty that he disagrees with. For this reason, his appointment is opposed by a broad range of constituencies including civil rights and feminist organizations as well as those who work to combat sexual assault on college campuses. A letter against his appointment by Jewish Voice for Peace’s Academic Advisory council was signed by over 200 faculty. Marcus targets the First Amendment-protected speech and scholarship of people with whom he disagrees – primarily students and faculty who advocate for Palestinian rights. His advocacy group, the Brandeis Center for Human Rights under Law, works to repress the First Amendment rights of those who oppose Israeli government policies, claiming that public criticism of Israel can contribute to a “hostile environment” for Jewish students on campus.